Learning how to become an ultrasound technician is not difficult especially if you are passionate about this career path. 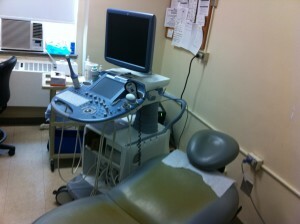 Whichever path one chooses, being an ultrasound tech is an emotionally gratifying and mentally stimulating profession. 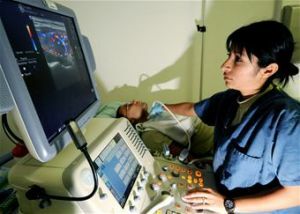 Currently, ultrasound technicians spend a lot of time in training because of the complexity of the sonography equipment. There are many institutions which offer certified programs in this field. Most people who aspire to be ultrasound technicians usually opt for the 4 year degree program offered at universities and some colleges. Most universities and colleges offer the Bachelor’s degree in medical imaging to qualified candidates. This course focuses on the science and medicine behind ultrasound technology and is great for people who are passionate about this career field. However, the 4 year course is not mandatory for anyone who wishes to join this profession. Most junior colleges and community colleges have 2-year associates degree course, after which the graduates can apply for licensing in order to practice legally. During training, students can decide to specialize in the desired field. A few examples of specialization include electrocardiotherapy or radiology imaging. The two year course is also offered in vocational or technical schools. Furthermore, these institutions sometimes offer one year training programs. However, individuals should inquire whether the credentials obtained after the one year course is acceptable in hospitals and other health care facilities. The best thing to do before you enroll into a one year certificate course is to visit a hospital to find out if they have their own training programs. Some hospitals usually offer training to interested candidates and offer to give them jobs after completion of the course. It should be noted however that these positions will generally pay the least since the hospital or medical facility is essentially the “school” in this scenario. A few schools that we’ve mentioned throughout our blog include one that is found in the University of Colorado Hospital in Denver which offers one year certificates in the field. Others that focus on two-year technical degrees inlcude Delaware Technical and Community College in Wilmington, Delaware which offers an associates degree in the field. Lastly, a school that we feel is excellent and offers a 4 year program is Boise State University in Boise, Idaho which offers both a certificate and a bachelor’s degree in sonography. Before enrolling in a college or technical school program though, we know you are interested in what kind of salary an Ultrasound Technician can make. We’ve done extensive research and pulled lots of numbers, but ultimately none of that matters. We figured the best way to show you what a technician make is what the current job postings on the Internet say. Take a look at one of our favorite sites for job postings…Indeed.com. You’ll notice that the range for Ultrasound Techs are roughly between $40,000 to $60,000 with some jobs extending to the $80,000 range. Those higher salary ranges are typically senior level positions in very large hospitals that require people management abilities and training and mentoring skills. For just the basic ultrasound tech level though, we did a search on two common job titles: Ultrasound Technologist and Medical Sonographer. So as you can see the salaries are very good given the amount of schooling that is required. But once you have graduated with your degree or certification, the last thing you should focus on to grab that spot as an ultrasound technician is the best ways to find a good job. To increase your chances of getting a job, you should consider sending job applications to all the hospitals in your area. You may also strongly consider relocation as your local area might not have openings, but other states like Florida, California, and Arizona may have many openings in comparison. Finally, technicians should seek certification from reputable associations. While this is not a legal requirement, it is an advantage since certified ultrasound technicians are paid a higher salary compared to those without certification. You can search the internet for reputable organizations which have a nationwide reach.